used it foe a greenhouse project. The schematic shows the wiring connection. Connect as shown in the color diagram. How To Buy The usb Program Device. A neat trick by printing blanks, works well.!!! you are the best people in this univers. Can you please talk about Wifi and how to connect and program the Wifi shield to the Arduino? MMSW, I hope to do a series on Xbee radio with arduino next, and then talk about WiFi. I will probably not be able to make more videos till this summer, as I am busy teaching the students. Please do your best to make it before summer! We need them. You are such a great teacher but most of all, a wonderful human being! Excellent Project Sir !! And its explained in a simple and crystal clear manner. I have a small doubt regarding the Potentiometer used here. Could u specify its range ? it is used to control the brightness of LCD. Grounded to get maximum contrast. What a satisfying project and brilliantly well explained as always. Is there a scroll feature with the Lcd library if you go over the sixteen characters? Also what are the other, not connected pins on the LCD for? I have not played around with GSM, so can not offer any suggestions. Good luck with the project. I am implementing GSM display System. Everything in the code is okay except reading data serially and printing it on lcd. Hi, i’m making a water level control sytem with ultrasonic sensor, LCD , 4 channel relay module , 2 AC water pumps.Even if i dont connect the pump to relay module when the system starts after a few seconds or some time later the LCD display shows some special character and turn mad. it keeps on untill i reset the board. Please let me know why we use only data lines DB4, DB3, DB2, DB1, DB0. This is only capable of transmitting a 4-bit entity and characters are atleast 8-bit data. This is a seeming discrepancy. Sir, what if i wanna put up some logo display on lcd? How would I add buzzer before the timer start ,when it stop and delay for 10 seconds before it repeats over and over? What if I wanna use picaxe instead of arduino? dark squares are visible in the first row. Use your potentiometer and rotate it clockwise. Can you tell me how to use the I2C Serial Module for my LCD? 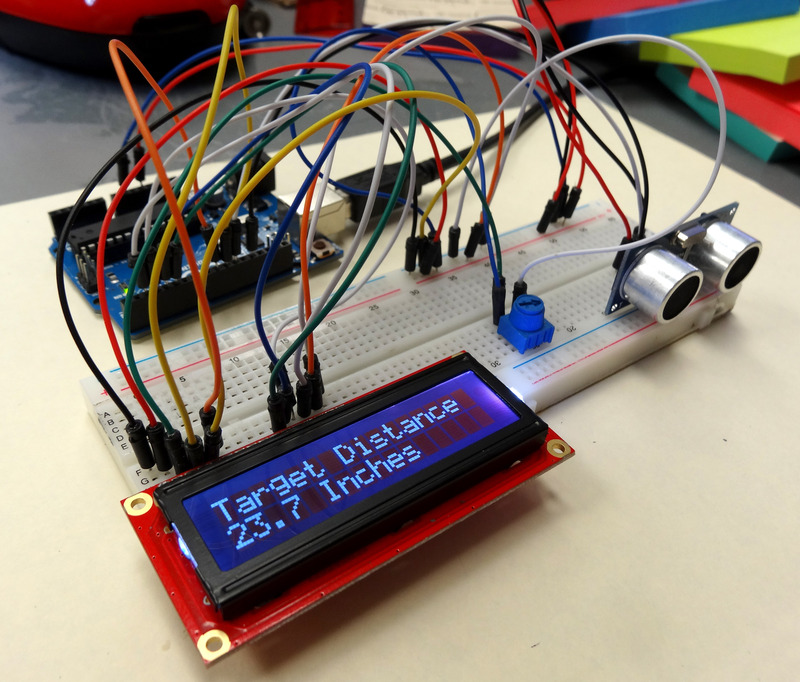 I’ve got a 1602 LCD for Arduino without i2c backpack. However i have purchased a PCF 8574 Waveshare pin extender. I would like to connect this with my lcd. Can you share your idea on connecting it together and make it work? Is there a way to do this LCD project with the 12C LCD 1602? hi I am preparing a timer with arduino and LCD that can be adjustable with push button and potentiometer if it is possible please help me by sending all the needed things like type of potentiometer,price of potentiometer,and code for the total operation of timer.And also tell me if it is not possible to arrange these type of timer with push button and potentiometer. The Serial Monitor will get the natural/roman numbers and the LCD will print them converted: roman/natural numbers. 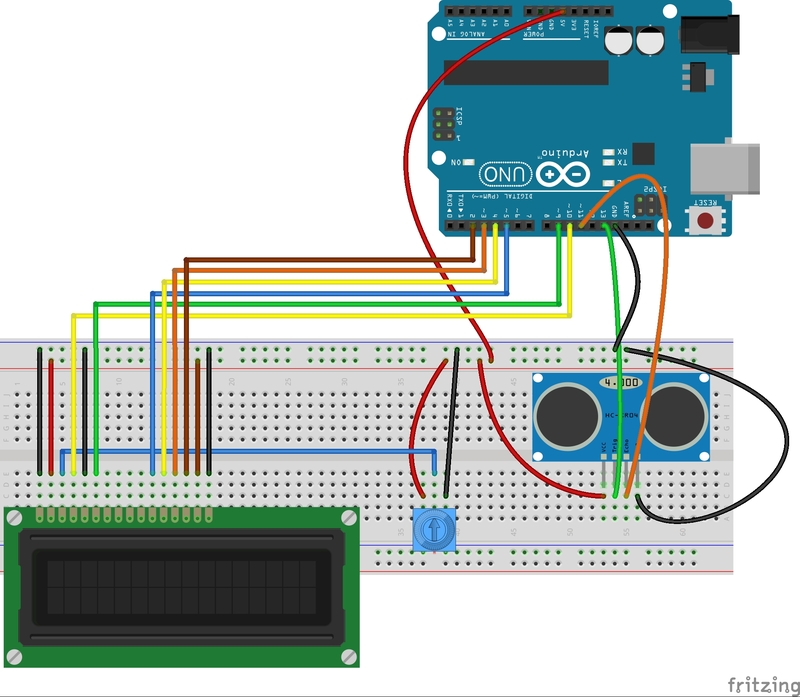 One button will be connected to the Arduino board and the moment is pushed the LCD will show the hexadecimal code of that number. For example, if I have 567, when I push the button, the LCD will show 237. I have to mention I have the code conversion in C for roman-natural, natural-roman and natural-hexadecimal, but I don’t know how to implement them in Arduino and make the connection with lcd.print(“”). Thank you in advance! Thank you Paul for your dedication and for sharing your knowledge. I managed to connect my LCD today with your instructions and also I had to solder the headers to plug it into my breadboard. It was my my first soldering attempt. My challenge however is how to display the status of an output on the lcd. Can anyone help with that. I will be glad. Thanks for your wonderful tutorials.But I didn’t understand the BLANK SPACE concept.Please explain me.